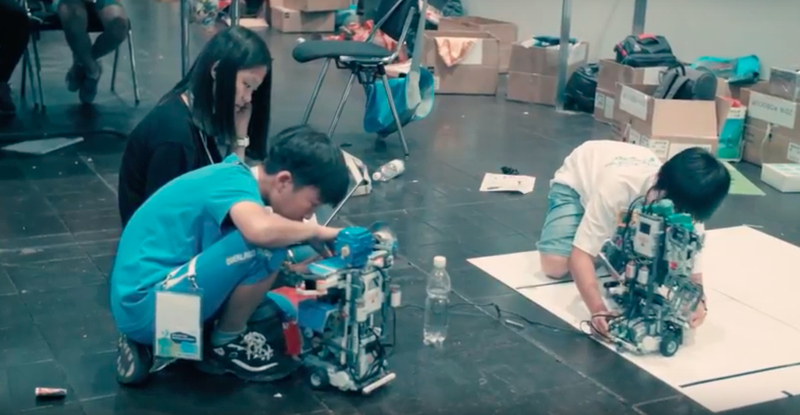 In our final set of videos, we are featuring the RoboCupJunior league! RoboCupJunior is a project-oriented educational initiative that sponsors local, regional and international robotic events for young students. It is designed to introduce RoboCup to primary and secondary school children, as well as undergraduates who do not have the resources to get involved in the senior leagues yet. Please spread the word! If you would like to join a team, click here for more information.